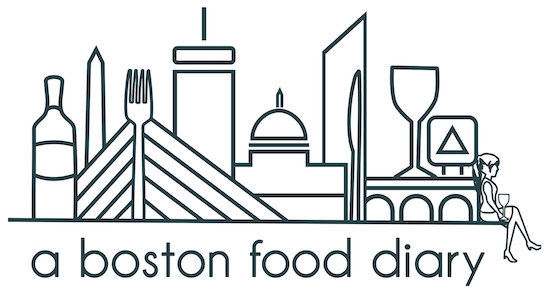 A Boston Food Diary: Apple Pie- the Ultimate Comfort Food? Sometimes life is hard. Sometimes, things are stressful, days are long, and there doesn't appear to be an end in sight. Sometimes you just want something comforting to envelope you like a big hug and squeeze until that monster under your bed has found a new home to live in. Sometimes you just want to indulge in something that brings you back to childhood, when your biggest concern was staying up past your bed time, and not that terrible deadline that is looming. On days like those, a nice big slice of apple pie is often all that's needed to bring you the comfort that you so desperately seek. Now, I know what you're going to say- it isn't the season for apple pie! Apple pie is supposed to be made with it's cold outside and the wind howls and that "white stuff" falls from the sky. Traditionally, sure, I agree with you. However, when life is handing you a rough hand, I see nothing wrong with perking up with a nice slice of homemade apple pie- and maybe even top it with some ice cream! With all of this in mind, I set off this weekend to my first ever apple pie- a task I have always left to my mother. I began with the pie crust. Ever since my trip to King Arthur Flour earlier this summer, I have wondered if my pie crust knowledge would translate in my own kitchen, or if I would fail without the watchful aid of the King Arthur Flour ladies on my side. I figured there was no way to find out without trying and so I cracked open my big King Arthur cookbook and got to work on their basic pie dough. As I was taught at KAF, I whisked together the salt and the flour, then I cut half the butter into the dry ingredients and combined the two with a fork. Then I added the remainder of the butter in the same way. The idea here is that when you add the butter in two batches, pieces of the butter remain in tact to some degree and are pretty big in the dough. The benefit to some of the butter keeping its size, is that when you go to bake the dough later, the butter melts in the oven and creates steam. That steam creates that lovely flaky affect in the pastry. After adding the butter- is the "tricky" part. Add the water, just a little at a time, until the dough holds together when you make a ball. The challenge here it to a. not use too much water (pasty-yuck), and b. to not over work the dough. If you handle the dough too much, the butter will melt and you can say good bye to those flakes we were hoping for. Once the ingredients are combined, turn out the dough, which will still be a little crumbly, and lump it together on your counter top. Using the heels of your hands, push the dough together and then kneed it out away from you in one motion, fold it and kneed it one more time. The dough should be well formed at this point, wrap it in Saran wrap or wax paper and refrigerate for at least two hours- I left if there over night. The next morning, armed with my pie crust and 7 Granny Smith apples, I made my way to my mothers to take full advantage of both her expertise and her air conditioning. We peeled the outer skins off the apples, cored them, and sliced them. Then we combined a bout a cup of sugar, a couple of tablespoons of flour, cinnamon and nutmeg to taste and just a spot of salt in a small bowl. We had no exact measurements. My mom's apple pie is a feeling- if the apples are very juicy- a little extra flour is added, if they are a bit dry, less is used. If the apples are extra sweet, less sugar is used- and so on until perfect marriages are found. We added the dry ingredients to the apples, tossed, and then let them hang out together, marinating in the spices and allowing the juices and flavors to mingle. I rolled out half my pie crust and lined the bottom of a square pie plate, and then rolled out the other half for the pies top. In this piece of dough I etched a tree-some might have called it an apple tree-personally I don't think my artistic skills warranted that. However, once the oven was heated to 425 degrees, we loaded the apples into the pie plate, dotted the top of the apples with just small little pats of butter for a little extra "love", covered them with the top pastry level, squeezed the two pastry layers together and painted the top with heavy cream to give color to the top dough. Then, as an added touch, we sprinkled an even mix of cinnamon and sugar over the top for some fun crunch and flavor. I ask you-is there anything, anything, so wonderful as apple pie? The spicy flavors from the cinnamon and nutmeg combined with the sweet tart apples all encased by flaky pastry...it is heaven on a plate. What is your favorite comfort food? When you've had a tough day- what do you most want to help you get through it? My favorite comfort after a long day is hugs from my honey, and poodle kisses, but food wise it's a steak and cheese grinder and mac and cheese. CARB-O-TASTIC! I love that it's square shaped. Nice first go at a pie! Your pie looks amazing! I've never heard of brushing heavy cream on top. I always use an egg wash. I have to say my fav comfort food is a hot fudge brownie sundae. YUM. I hope things perk up for you soon! Mac & cheese. It's always mac & cheese. The Kraft stuff will do. Annie's is better. Homemade is best. P.S. Your apple pie looks delish, and I hope it made you feel better! Also, so proud of your "fear of pie dough IRL" defeat! Hurrah!